Concrete Masonry Units (C.M.U) are commonly called block or cement block. 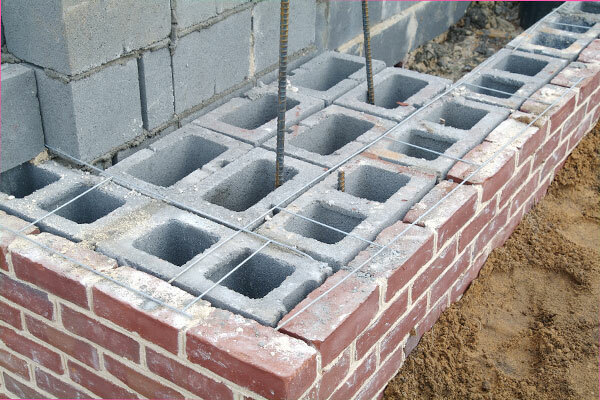 Block are used to build fire proof walls, piers, or to reinforce structural load bearing masonry sections. Block are also commonly used to line the outer structural chamber inside chimneys and support the concrete chimney crown. Block is also a great option for exterior masonry wall restoration and alterations. Concrete blocks come in 4″ , 6″ , 8″, 10″ wall width sizes and are a standard 16″ in length and 8″ in height. The exterior to the block can come in a wide array of finishes. Heavy gauge wire is commonly installed within horizontal mortar joints for added strength and stability. Rebar and/ or concrete grout can be added to increase tensile strength. The most common applications for block installation are commercial construction, multiunit alterations, building repairs and restorations, residential basements, garages, and chimney restorations.